With electric hook-ups available on so many campsites you can experience home comforts on your travels. Power, light, and heat are available at the flick of a switch to be enjoyed by all campers. 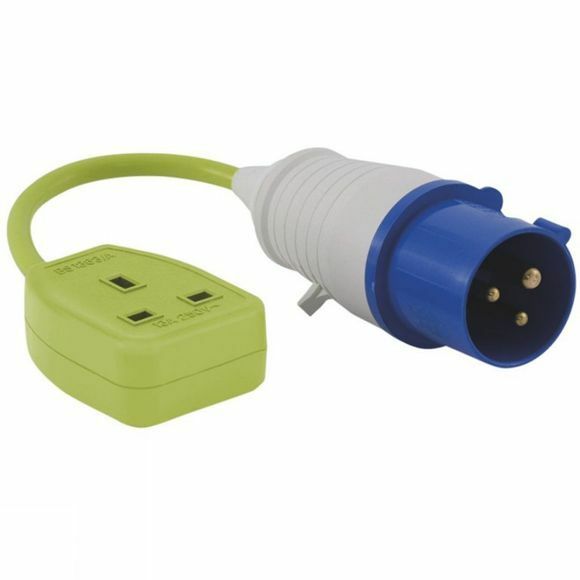 Simply attach the conversion lead to UK based products for power with convenience and versatility. Family safety is a priority, therefore the passage of power to sockets, leads and plugs has been considered with care and precision to create Outwell's handy Conversion Lead Socket.